A few years ago I highlighted Five Hidden Halloween Gems that go relatively unappreciated in discussions of the great movies to watch at the spookiest time of the year. Overlooked both among the horror classics and the contemporary triumphs of the genre, they’re still movies I highly recommend finding and watching. And as it happens, there are more than five; so here are five more. Each of these are exceptional, creative, indelible, and often more genuinely scary than your standard jump scare-fest or cheap slasher sequel. Shadow of a Vampire is a bizarre movie to say the least. It’s a fictional history of the making of F.W. Murnau’s classic unlicensed Dracula adaptation, Nosferatu. 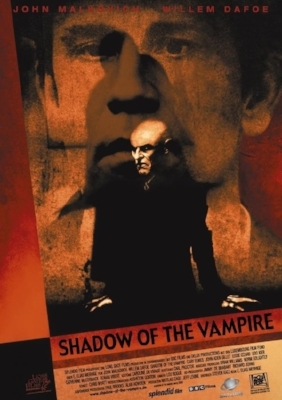 The film posits that Max Schreck, the actor playing Count Orlock, was in fact a real vampire hired by Murnau to make the film as authentic as possible, and portrays how Schreck haunts and preys upon the people involved in the production. The movie is definitely a little silly and knows it, satirizing method acting and obsessive directors (which Murnau was not), but it’s also strikingly atmospheric and eminently creepy, much like Nosferatu itself. The film utilizes title cards, irises, and simulates the earlier movie incredibly well. The cast includes Eddie Izzard, Cary Elwes, Catherine McCormack, and Udo Kier, all of whom are great, but Willem Defoe is the scene stealer, perfectly playing an over-the-top yet ghastly Schreck. What hurts the film most is perhaps John Malkovich as Murnau, but the theme of amorality for arts’ sake still comes across intensely. Oculus was the feature debut of Mike Flanagan, one of the most promising horror directors in recent years. In what seems to be a favourite style of his, the film is told simultaneously in the past and present as a family is driven mad by an ornate antique mirror. Karen Gillan and Brenton Thwaites play the adult children trying to prove the mirror’s evil, while Rory Cochrane and Katee Sackhoff play the parents succumbing to its deception; and all give good performances, however Gillan is particularly compelling, damaged, and fiercely obsessed. But also, the concept of a haunted mirror itself is just inherently frightening. How many of us have been creeped out looking into a mirror thinking we were catching something uncanny in our reflection or in the environment behind us? This movie taps into and takes advantage of that fear, and does so with a really unnerving atmosphere and gradual terror. Not to mention a disturbingly nihilistic ending, even for a horror film. ParaNorman is a very traditional Halloween movie. In that it’s set around the harvest, contains a lot of autumn imagery and historical New England iconography, and its plot has to do with monsters and a curse dating back to the colonial witch trials. Taking inspiration from numerous creepy movies yet still coming together incredibly well, the movie’s about a boy, Norman, who is a medium. An outcast both among his peers and his own family, he soon becomes the only person in town able to end a deadly scourge of the undead. The film is animated by Laika, a stop-motion animation studio that’s among the best in the world, and as usual for them, the visuals look spectacular. The designs are rigid, the look of the film spooky and grungy, but also elegant at times. It’s got a great voice cast, led by Kodi Smitt-McPhee in the title role, and the plot takes some interesting turns, resulting in a more tender story with an important message of compassion and kindness at its core. But still filled to the brim with Halloween imagery, fun, laughs, and frights. Eyes Without a Face is as disturbing and insane as it is poetic and graceful. Written and directed by Georges Franju, from a novel by Jean Redon, it’s the story of a mad plastic surgeon kidnapping women to use as victims of a face transplant for his daughter, left deformed by a car accident. Years before Michael Myers popularized it, the vacant mask worn by Edith Scob is an even more horrifyingly expressionless visage. But the monster of the film, Pierre Brasseur’s Doctor Genessier is sinister in a subtle, insidious way, always seeming gentlemanly and acting out of love, while his assistant played by Alida Valli is hysterically loyal and cruel in her own way. Perhaps the films’ most famous sequence is a graphic surgery scene showing in (very inaccurate) detail the heterografting process. Despite this shocking level of gore, the movie has some beautifully evocative cinematography, lighting, and framing. Many critics have compared it to the work of Jean Cocteau, and it certainly has some of that lyrical flow and avant-garde sensibility that characterized most of his work -though filtered through a freaky concept that is sure to stick in your imagination. 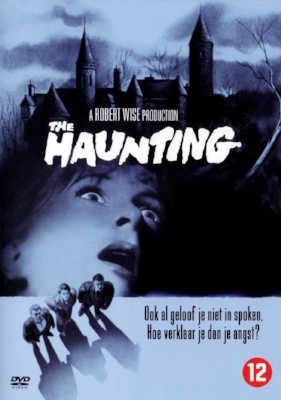 The Haunting may have recently gotten a critically acclaimed facelift by Mike Flanagan in the loosely adapted Netflix series The Haunting of Hill House, but Robert Wise’s first translation of Shirley Jackson’s brilliant ghost story is still the closest to the novels’ breathtaking atmosphere and acute psychological terror. It’s the story of a paranormal investigation conducted by a psychologist and three specially chosen guests in an old mansion called Hill House, the site of a number of grisly deaths. The story’s told from the perspective of Eleanor Vance, played by an incredible Julie Harris, and as she is simultaneously terrified by and drawn to the House, the lines are blurred between what’s evidence of a genuine haunting and what’s just the perception of her fractured mind. Richard Johnson, Claire Bloom, and Russ Tamblyn are all great as Eleanor’s companions, but Hill House itself is the most important star. Distorted camera tricks and a claustrophobic production design give the House its eerie, arcane, structurally awry look; and the cinematography, full of unusual tracking shots and uncomfortable low angles may be the best I’ve ever seen in a horror movie (yes, including The Shining). Abundantly suspenseful and intensely, memorably chilling (“whose hand was I holding?”), The Haunting is the perfect movie to keep you awake on a dark Halloween night.